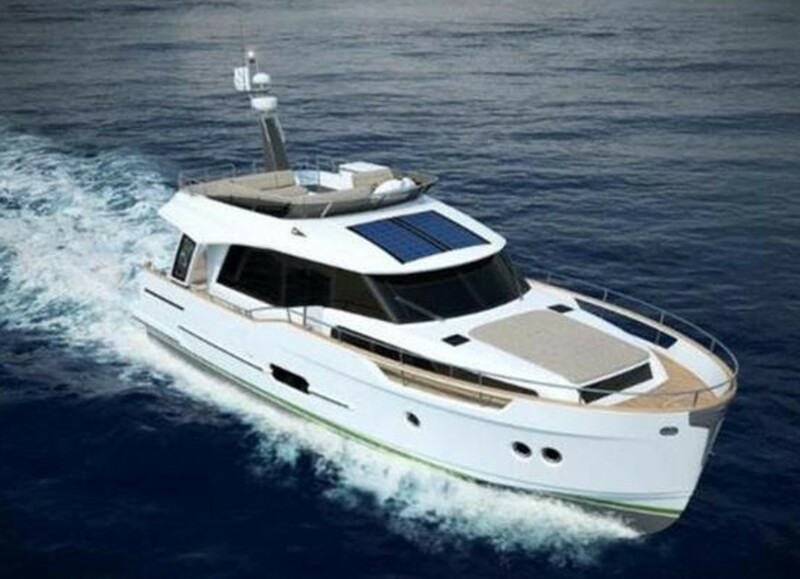 Slovenia&apos;s Greenline Hybrid Yachts have a super-displacement hull, which enables the yachts to use less fuel, generate lower carbon dioxide emissions and produce less wake. Several Greenline boats will be on display at Yachts Miami Beach. It&apos;s not only electric cars capturing consumers&apos; attention these days. Electric boats from around the world will be on display at the 29th annual Yachts Miami Beach, the city&apos;s in-water yacht show, which will take place Feb. 16-20 along Collins Avenue. For the first time, the show is featuring an Electric Boat Pavilion to showcase the marine industry&apos;s advances in environmentally friendly motorboats. "It&apos;s always our goal to be on the forefront of promoting what&apos;s most current and relevant to boaters," Show Management vice president of consumer marketing Brett Keating said in a statement. Show Management, which produces the show, and Trade Only Today are both part of Active Interest Media. "We look forward to expanding our Electric Boat Pavilion in the future as more companies develop electric boats for the American marketplace,” Keating said. The show will feature products from Canadian Electric Boats, Rand Boats, Foldable RIB, Greenline Hybrid Yachts, Torqeedo Electric Motors and GoCycle Electric Bikes.